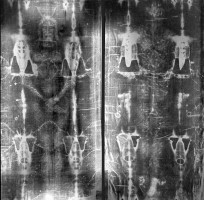 I have recently received an email from a former priest of the diocese who wanted to share a short film with us about the investigation into the authenticity of the Shroud of Turin. This shroud, made of linen cloth, is believed by many to be the actual burial shroud of Jesus, found in the tomb by the disciples three days after his crucifixion and death just outside Jerusalem. Much had been written about it over the ages since the 13th or 14th century when it was first revealed to the public. Work back in the nineteen eighties seems to have cast much doubt over its authenticity, but questions still remain and whilst the scientific methods used are highly accurate, there is a question over the samples taken from the cloth and the likely contamination by substances the shroud would have come into contact with in its supposed 2000 year history. I hope you find it interesting and helps in your quest for the reason why we are here and what may lie ahead.